In developed countries, around 25% of all births involve labour induction. Studies have indicated that labour induction negatively influences the birth experience as well as the birth process. 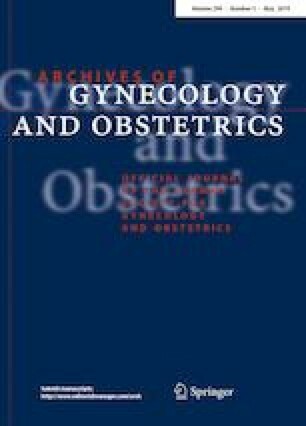 However, the impact of labour induction when only considering vaginal deliveries has not been studied yet, which was the purpose of the present study. 186 women who gave birth vaginally took part in this prospective study. 95 women gave birth after spontaneous onset of labour (SL-group) and 91 women received a labour induction (LI-group). Eight to 72 h after birth, the women filled in the revised version of the standardised Childbirth Experience Questionnaire, which examines the birth experience in four dimensions (Own Capacity, Perceived Safety, Participation and Professional Support). Medical details regarding birth and fetal outcomes were taken from the medical records. Birth outcomes (the number of epidural anaesthesia, the duration of birth, birth risks and childbirth injuries) as well as fetal outcomes (APGAR after 1 and 5 min and arterial cord pH) did not differ between the groups. Regarding the subjective birth experience, the LI-group indicated significantly lower values for Perceived Safety and Participation compared to the SL-group, while there were no differences for the dimensions Own Capacity and Professional Support. Successful labour induction resulting in a vaginal birth did not negatively influence birth and fetal outcomes and only partly affected the women’s birth experience. The negative impact of labour induction on the dimensions Perceived Safety and Participation should sensitize midwives in order to provide optimal support. NKS: protocol/project development, data collection or management, data analysis, manuscript writing/editing. TF: protocol/project development, manuscript writing/editing. JA: data collection or management, manuscript writing/editing. MH: protocol/project development, manuscript writing/editing. AP: manuscript writing/editing. MF: protocol/project development, manuscript writing/editing. PH: protocol/project development, data collection or management, data analysis, manuscript writing/editing. The authors thank the Else-Kröner-Fresenius Stiftung for the financial support. The study was approved by the ethics committee of the Heinrich-Heine-University Düsseldorf in Germany. All procedures performed in this study were in accordance with the ethical standards of the institutional and/or national research committee and with the 1964 Helsinki declaration and its later amendments or comparable ethical standards.